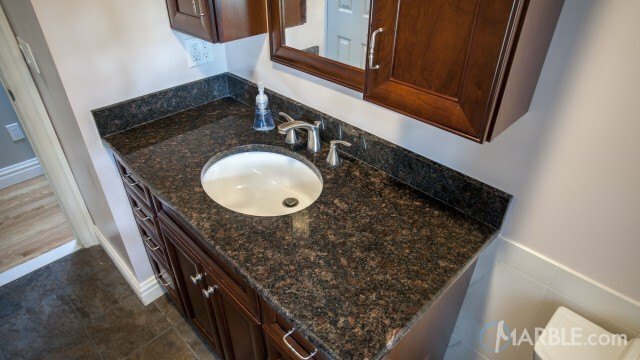 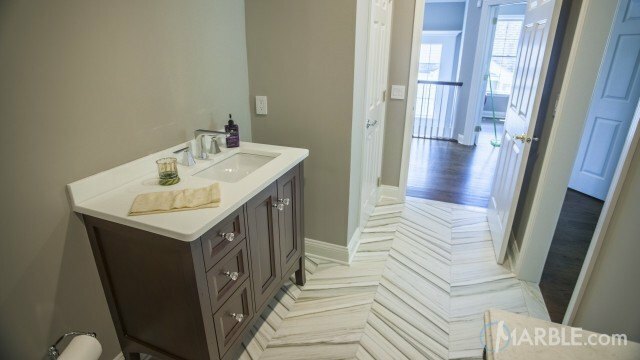 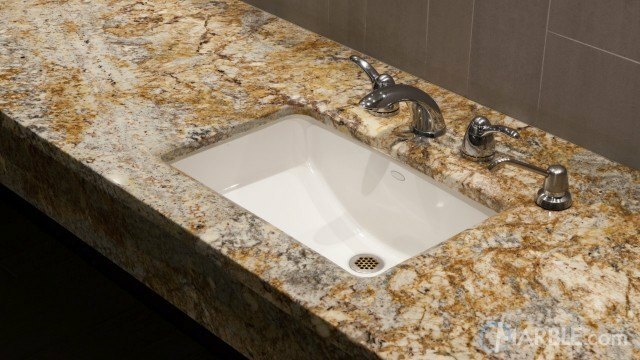 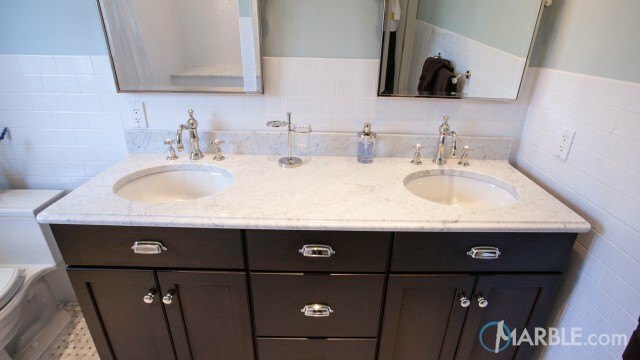 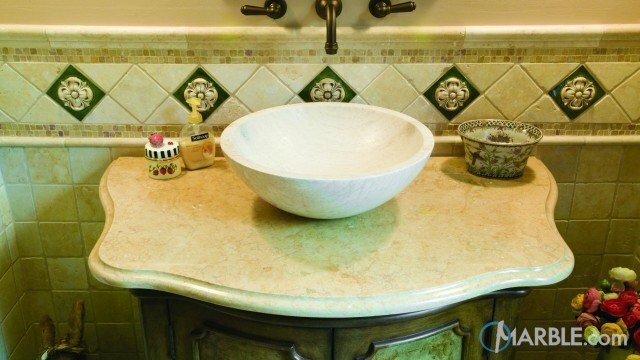 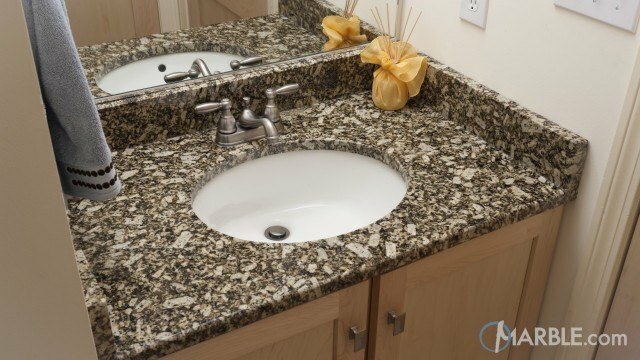 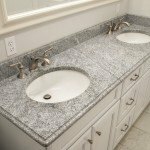 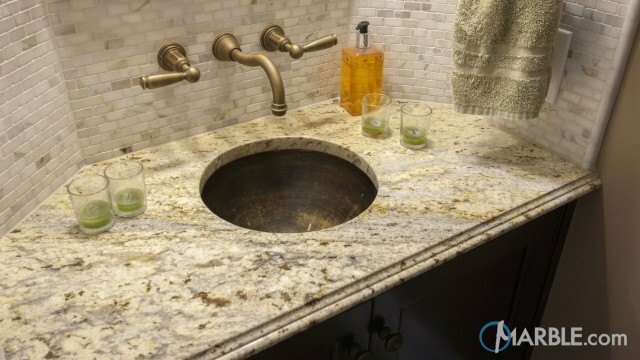 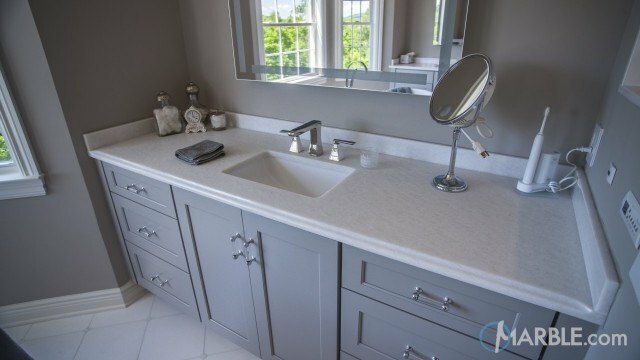 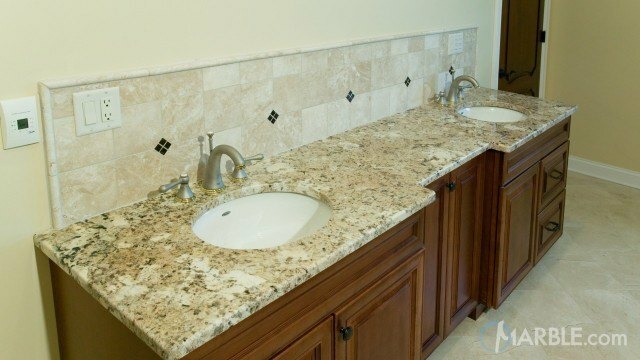 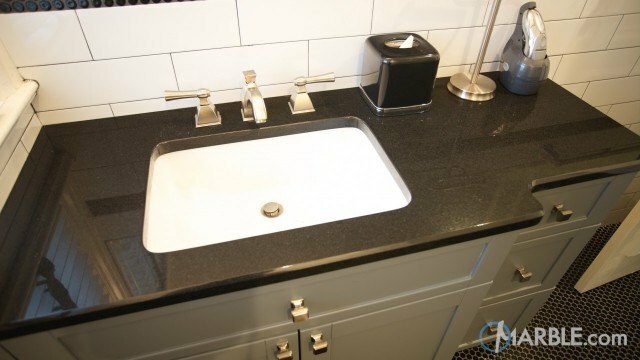 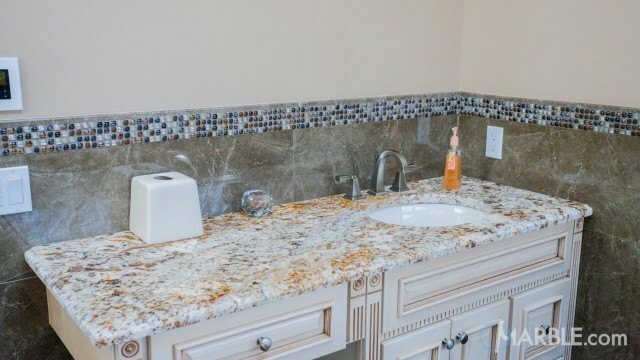 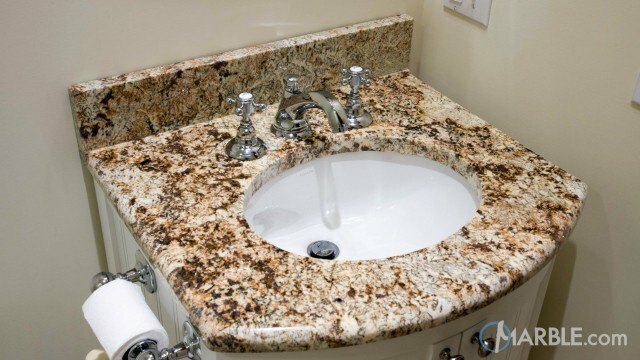 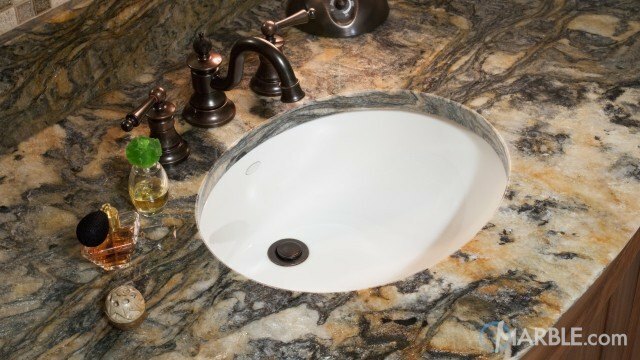 Bianco Diamante granite is a great choice for any application and looks great matched with either white or black cabinets. 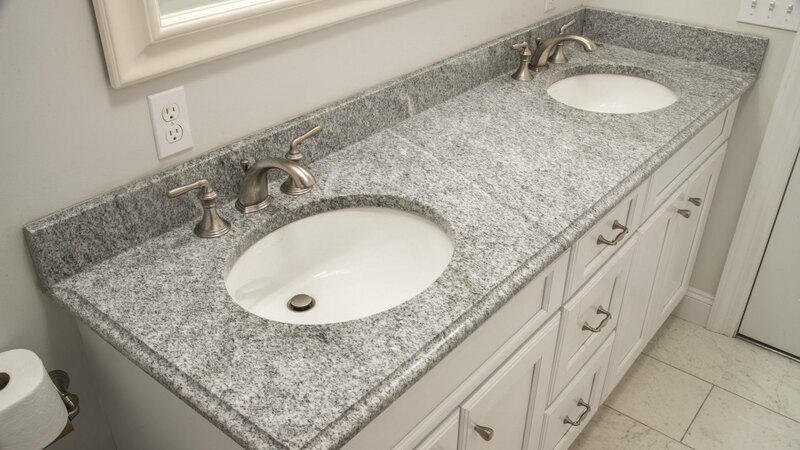 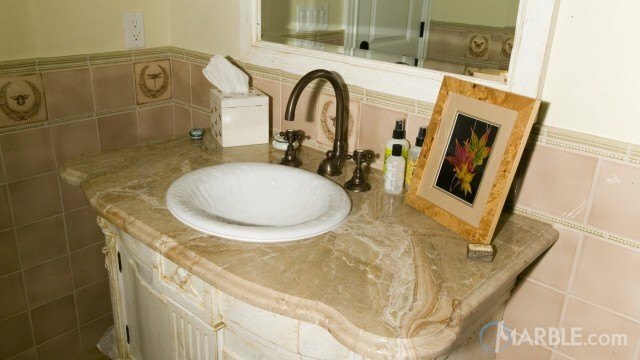 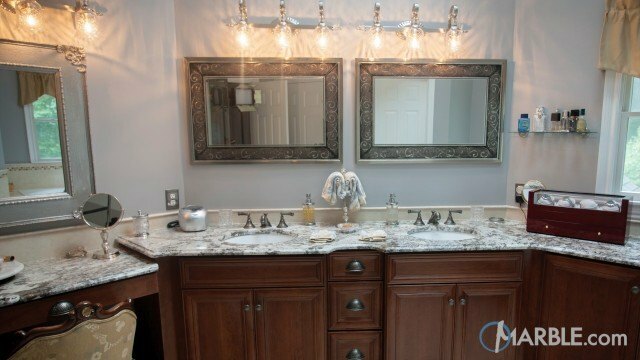 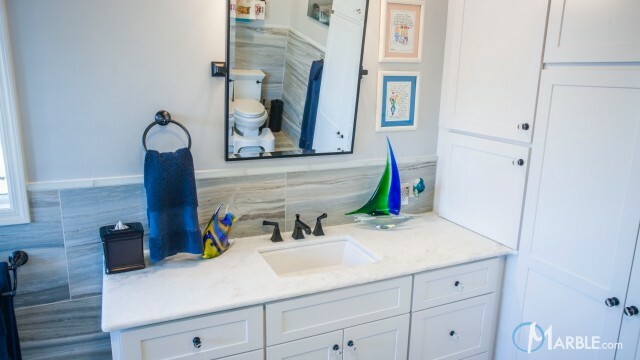 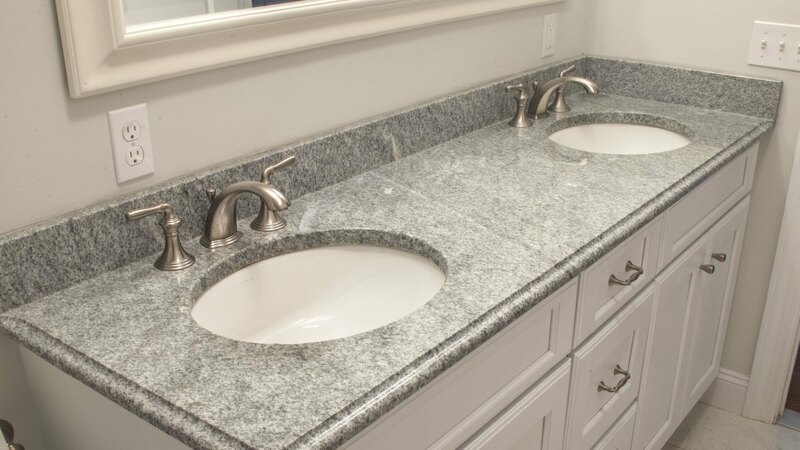 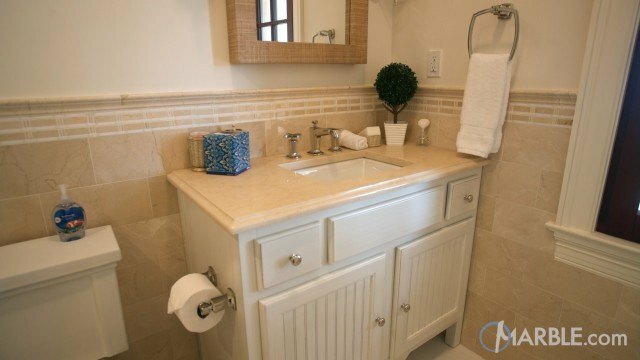 In a classic monochromatic setting Bianco Diamante Granite adds a subtle but elegant beauty to a neutral color space. 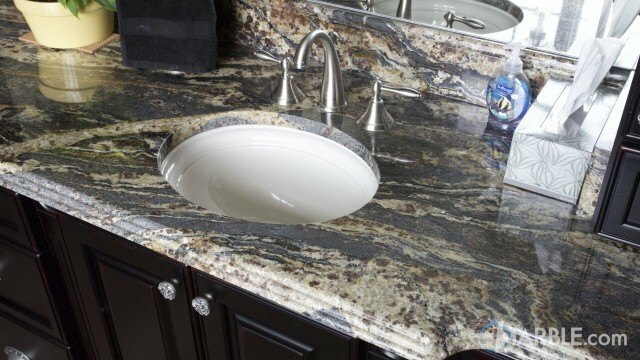 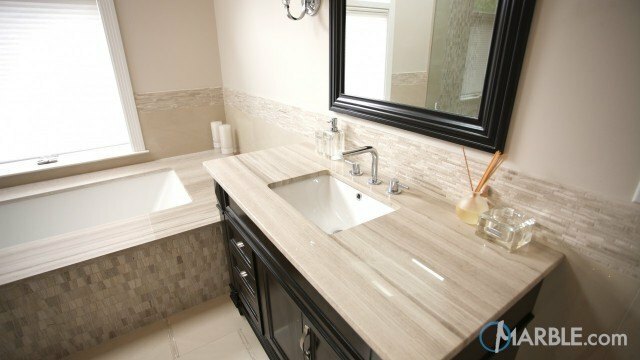 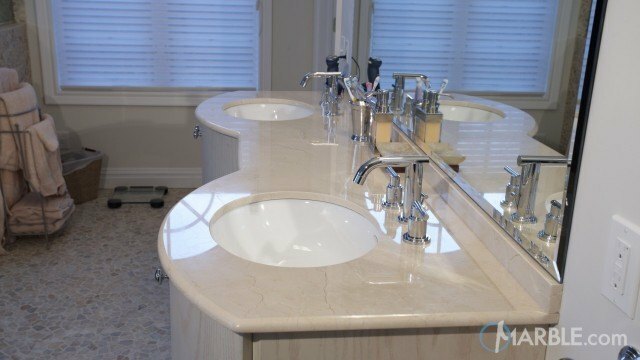 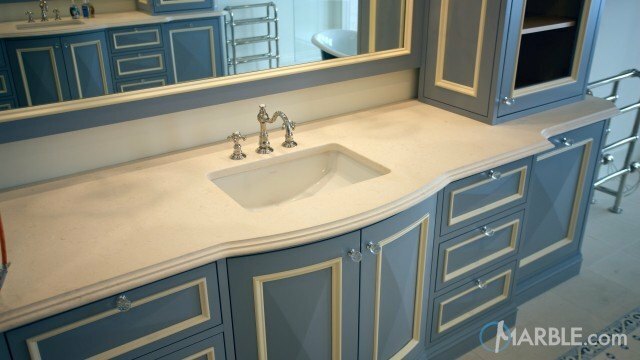 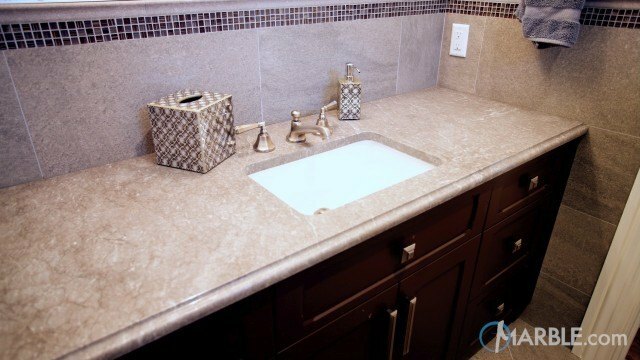 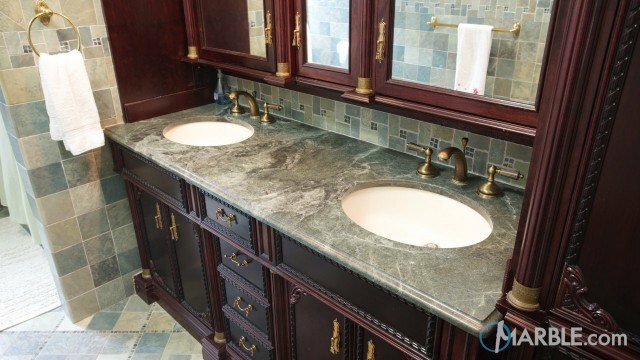 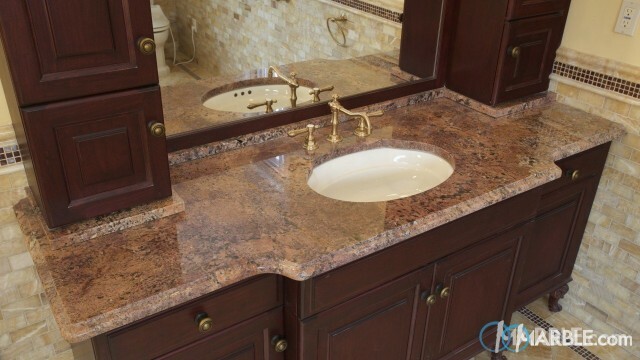 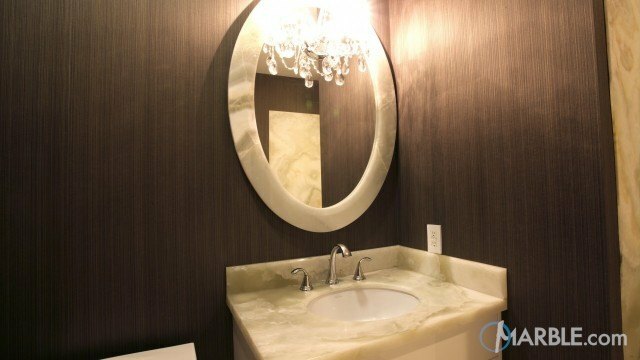 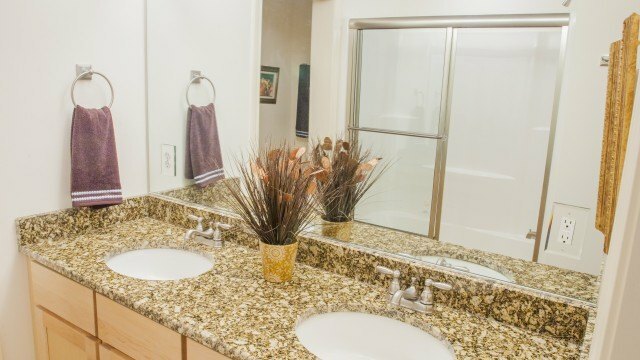 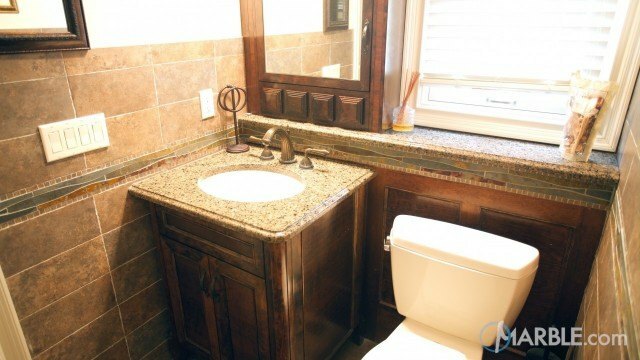 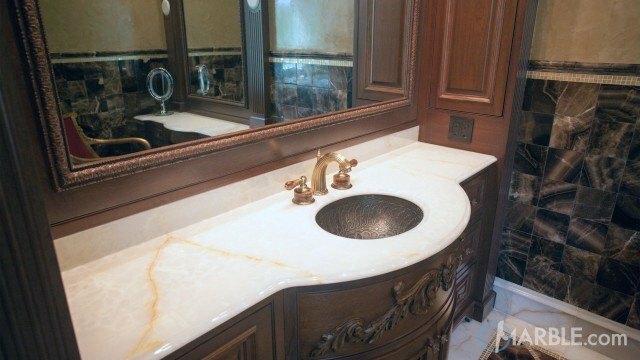 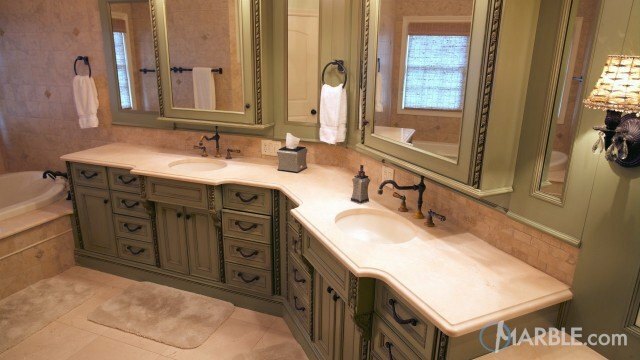 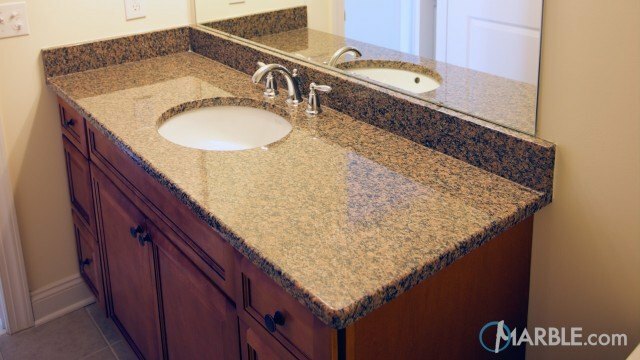 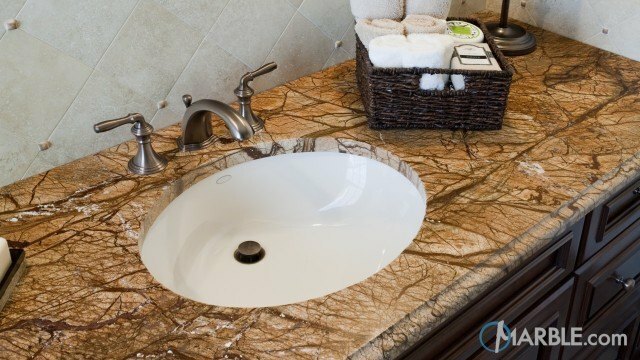 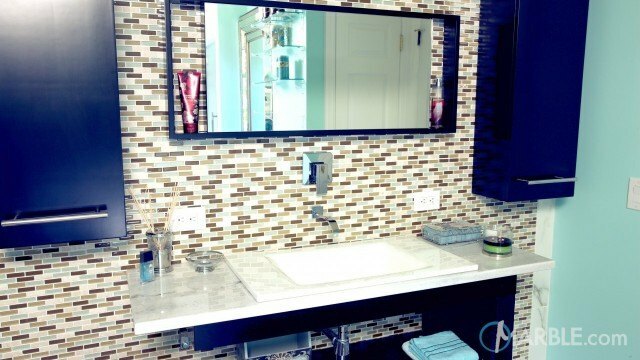 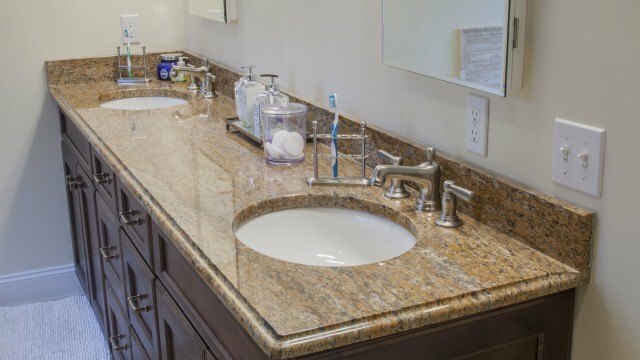 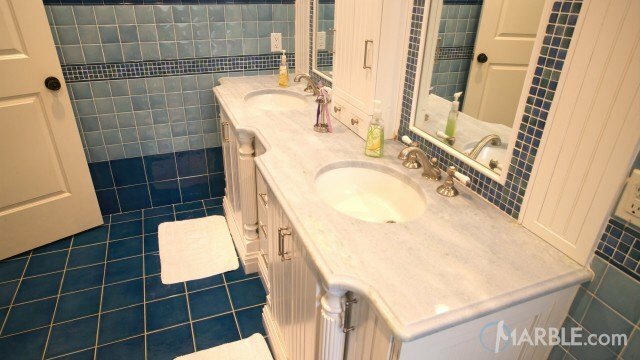 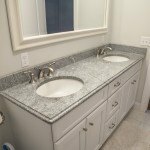 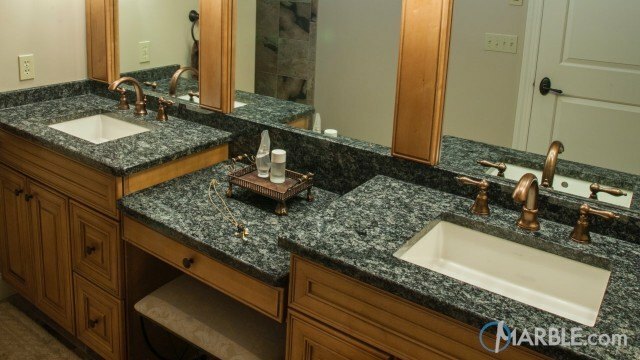 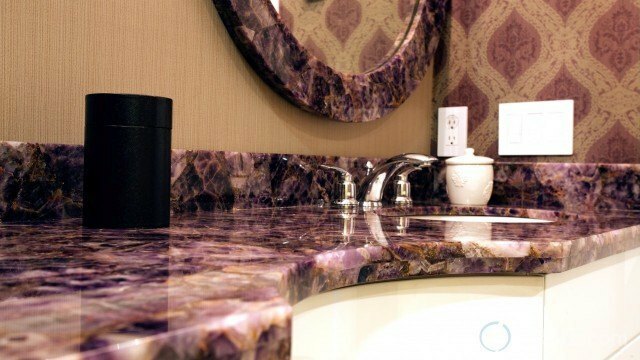 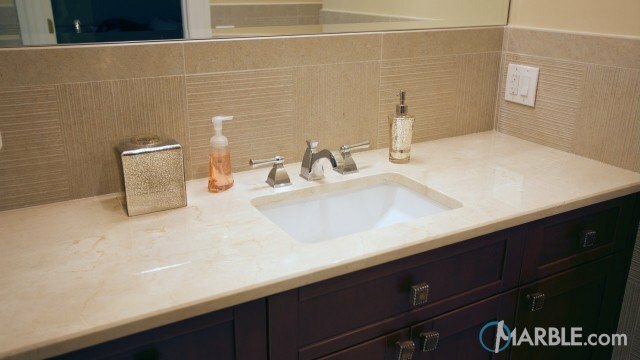 The Ogee Edge adds a touch of elegance and perfectly matches the mirror frame profile.